Create your own personalized stocking for Christmas with our Personalized Red Cuff Scandinavian Snowflake Stocking. 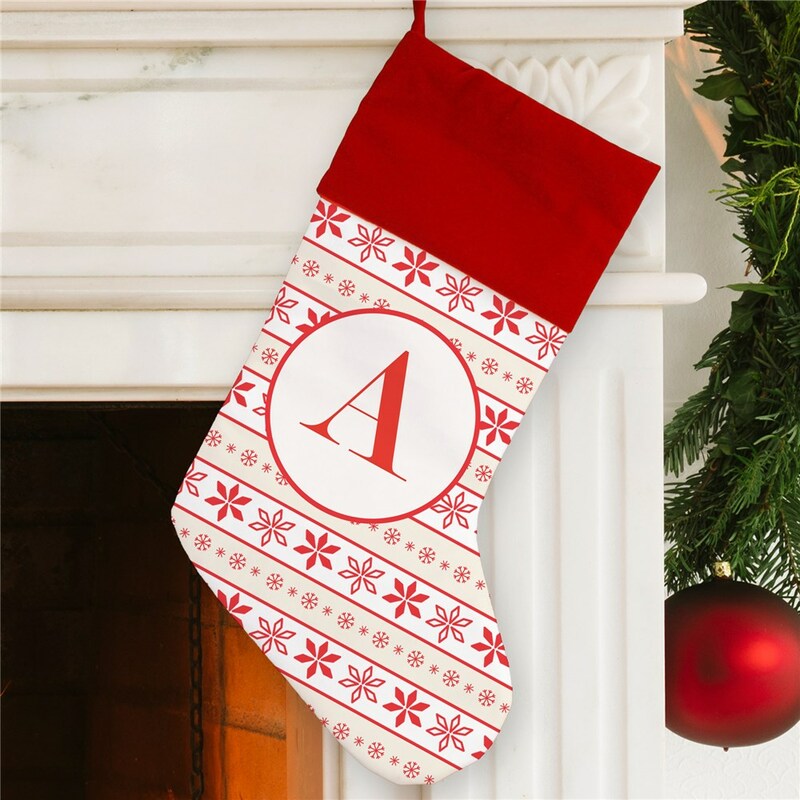 Our Monogrammed Christmas Stockings are easy to personalize with any initial, and it's free of charge! Each year this stocking is displayed, you'll be spreading Christmas cheer.